The CitationJet short to medium range business jet family was essentially a replacement for the original Citation I family. It retains that aircraft's forward fuselage, but has a new T-tail assembly and a new supercritical wing. 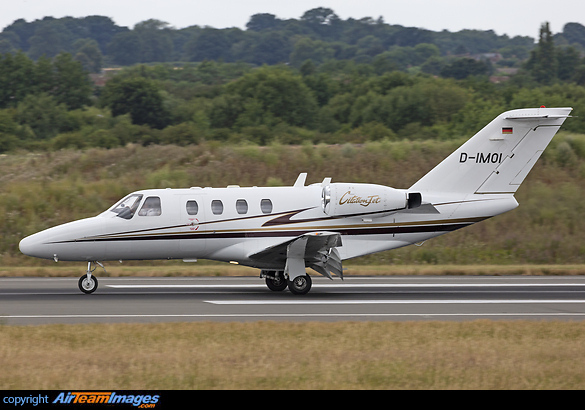 The Citationjet was the original production version, it was soon upgraded to the CJ1 variant, with detail improvements. The latest production variant is the CJ1+, with electronic engine controls, revised avionics and an uprated engine. 2 x Williams FJ44 (1900 - 2400 lbf) turbofan engines.